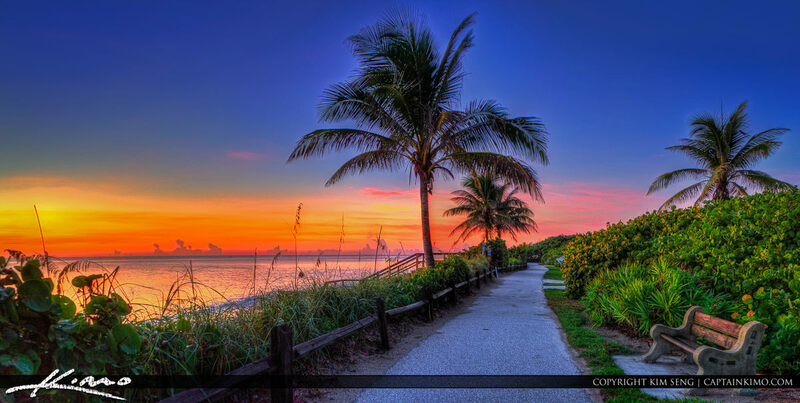 HDR image taken at Coral Cove Park during sunrise at the bench in Jupiter Island, Florida. This was taken early last week while I was on a shooting spree. Three exposure HDR pano created using Photomatix Pro HDR Software.